A pet is more than a snuggly companion; they’re family. They greet you at the door every day, place their paws on you when they instinctively know you’re sad, and remain close by your side when you’re sick. 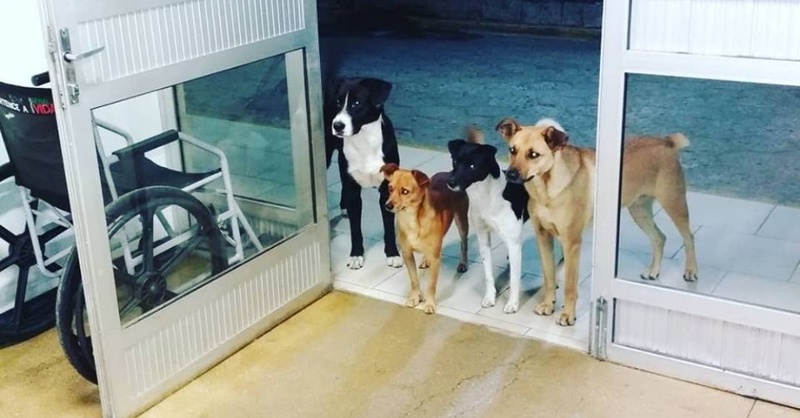 Recently, a photo taken in Brazil showed just how fiercely loyal a man’s four dogs were when he arrived at a local hospital for treatment. 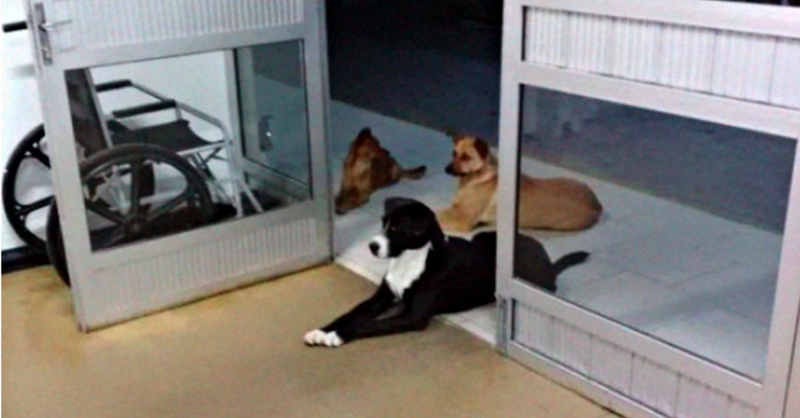 It wasn’t long before medical staffers realized he wasn’t alone… all of the pups waited patiently by the clinic’s doors during his entire visit. Cris Mamprim, a healthcare worker at Hospital Regional Alto Vale, recently shared a story on her Facebook page about a homeless man named César. He’d had come to the hospital for medical attention late one night, and as she and other workers treated César, they noticed he had four friends quietly anticipating his release. Cris noted that the patient was “a simple person, without luxury who depends on help to overcome the hunger, the cold, the pain, the evils of the world” but that he had “the best companions” by his side. Though he had little, César admitted to skipping meals for himself in order to feed his furry friends — a love and sacrifice that is clearly not lost on the pups. According to Cris, it was clear that the dogs were “well taken care of” based entirely on the way they behaved and waited patiently for their human to return. Once César was treated and recovering, the hospital staff allowed his pets to come in and stay by his side. 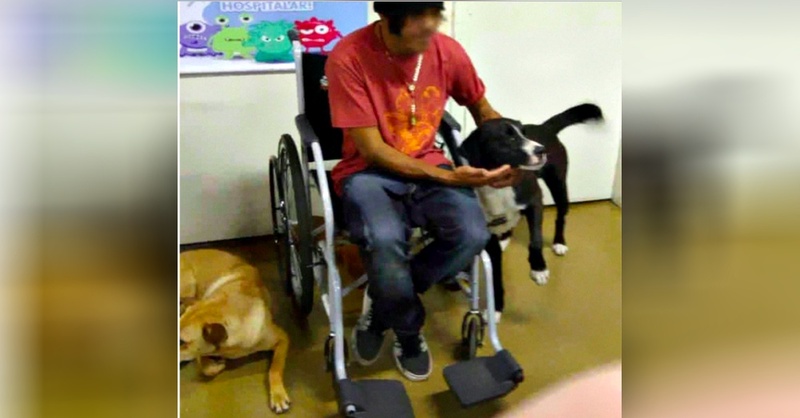 They offered a meal to him, which, to no one’s surprise, he ended up sharing with his sweet pets. Though it was hard for the staff to release the César back onto the streets, they felt comfort in knowing he wasn’t all alone. Spread the puppy love and share this story with anyone who could use a smile!